This is the home of the original Indonesian quality furniture and innovatively designed by professional craftsmen. 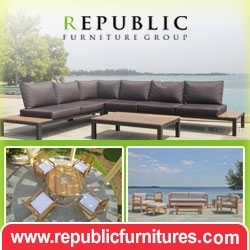 Here you will find many furniture products from Indonesia which already to export. All products are made from best material, such as; Teak wood, Mahogany, Rattan, Bamboo, Wicker, Cane, and many more. 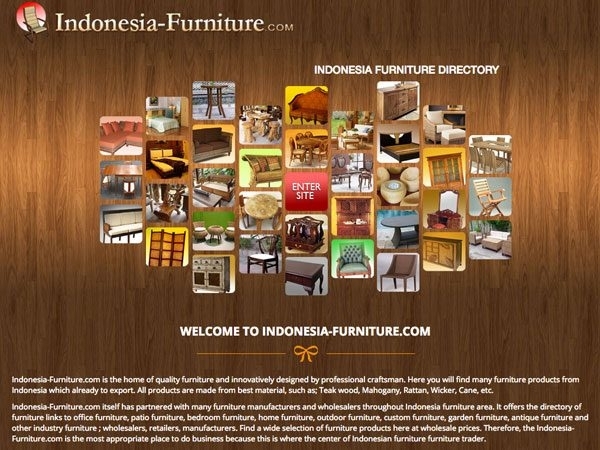 Indonesia-Furniture.com has a partnered with many furniture manufacturers and wholesalers which are experts in their field. It offers the directory of furniture links to office furniture, patio furniture, bedroom furniture, home furniture, outdoors furniture and other industry furniture; wholesalers, retailers, manufacturers. 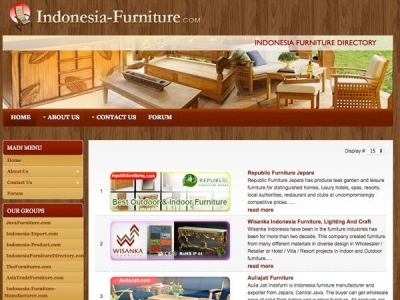 Therefore, Indonesia-Furniture.com is become the best partner for Indonesia furniture trader.